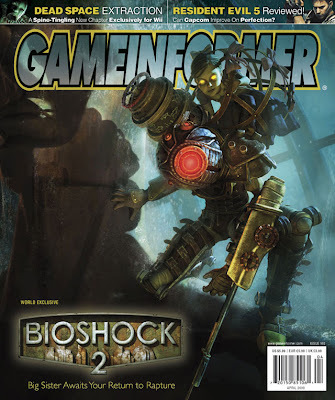 The April 2009 issue of Game Informer magazine features the first big preview/reveal of BioShock 2. Check out the generous 10-page spread to find out how Rapture has changed since your last visit, who you play in the game, and just what this Big Sister thing might be. Available on newsstands now.